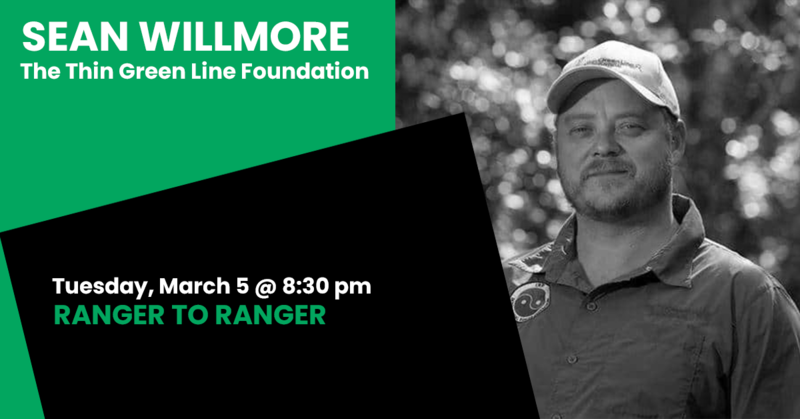 Sean Willmore is a former Australian Park Ranger and now Founder and Managing Director of the Thin Green Line Foundation, and the current President of the International Ranger Federation (IRF). Over a decade ago, Sean travelled the world to document the urgent plight of his Ranger colleagues on the frontlines of conservation. The subsequent documentary The Thin Green Line became an international success, showing in 35 countries to 15,000 people on World Ranger Day and selling 10,000 copies since. The documentary has helped to put the desperate situation for Rangers in many parts of the world on the map. From the film’s success, The Thin Green Line Foundation was established, going on to become the leading voice and support system for many Rangers worldwide, especially those in low income countries and conflict zones. The work of the organisation has captured the attention and endorsement of many, including Dr Jane Goodall, the Duke of Cambridge, and Bill and Hilary Clinton. The Foundation has also featured widely in the global media, including The NY Times, National Geographic, The Guardian, ABC, SBS and many more. While undertaking his work, Sean has travelled to and worked with Rangers in over 50 countries on six continents, where he has been ambushed, held at gunpoint, charged by elephants, closely avoided militias and gone undercover with poachers. His efforts to bring attention to the dangerous work undertaken by Rangers has won him international acclaim. He has spoken at over 500 schools and corporate events and at major international conferences and congresses. As the Managing Director of The Thin Green Line Foundation he leads a team committed to getting on-the-ground training and equipment to Ranger groups, and to providing financial lifelines to the spouses and children of the many Rangers who lose their lives in the line of duty. To date, the organisation has provided over $3.5 million Provided over $3.5 million to grassroots Ranger projects and funded over 300 families (1,500 children) of fallen Rangers. As the President of the International Ranger Federation, Sean is the figurehead responsible for ensuring the plight of Rangers is kept firmly on the agenda for governments, non-profits and the media, and that more and more support is acquired from those in positions in power.